What needs to be done to bridge the gap between East and West today? Queen Rania: There is so much diversity in our countries today, so many people coming from different backgrounds, histories, geographies … are now coming together and sharing the same borders and so the issue of multiculturalism becomes very important, how do we maintain social harmony amongst such diversity and the most important thing, I think, is to focus on the values of reaching out to one another of engaging one another of interaction of arming ourselves with knowledge of different peoples and through that through this kind of mutual knowledge, and the building of respect then you can get acceptance. I always say that multiculturalism is not just about being in the same neighbourhood I think you need to knock on the door and enter your neighbour’s house, that is multiculturalism, interaction so I would say yes tolerance is good but it is not enough we have to take it the next level and aspire to something higher, which is acceptance among people. You are insisting on this since the being so I remember when I had the opportunity to interview you in 2001, after 9/11. Sometimes we have the impression, not only that we do not know each other – the west and the Muslim world – but that we don’t want to know the other. So what can be dome to emphasize this dialogue, this mutual knowing between people? Queen Rania: I think you’re right, people sometimes don’t want to know each other…I think what’s happened is that we’ve let stereotypes become so widely spread amongst people, and we rely on these stereotypes, although they are just a shortcut, and they rob us of accurate perspective of people, because we just use labels- very superficial labels, and as a result of relying on these labels, we kind of shelter ourselves in our own little shell and don’t reach out so it’s very important for us to really break down these barriers of mistrust and suspicion. I think what happens is that when you rely on stereotypes, you get a sense of mistrust and suspicion between people and therefore they don’t want to have this interaction and acceptance. I think the solution is for people to really arm themselves with knowledge, but knowledge is not enough, knowledge of the other is not enough. We need to reach out and interact, and come out of your comfort zone. It’s very easy for us to really sort of shelter ourselves and create barriers, and not to reach out to the other, to the unknown. I think we have to venture and reach out to the unknown. And when we do that, we’re going to find out how similar those ‘so-called’ others are to us. At the end of the day, I think we are all combined by our humanity, our similarities. We all have the same issues, aspirations, and challenges and we want the same thing for ourselves and our children. And I think only by reaching out of our comfort zone and going to the other person that you actually realize that these similarities exist. Do you feel, Your Majesty, today in the world, in our world, and in the Muslim world, that there is the will to know each other…are you an optimist in this climate, or are you a pessimist? Queen Rania: I think that the will, will come from the need, and there certainly is a need. You know, if you look at our world today, there are so many divisions, there’s so much mistrust, there’s so much suspicion, and that is leading to a fragmented world, that lead sometimes to dangerous acts, acts of extremism, acts of intolerance, and sometimes terrorism so it is affecting our lives. I think, as I said, for societies to succeed in the 21st century, they really have to embrace diverse people from diverse backgrounds, they really have to succeed in multiculturism, and I think that need is going to be the impetus, or the reason that will make people reach out to one another and try to break through the misunderstandings. I think, you know, among the moderates, there is a will to reach out, there is a will to create bridges of understanding, but sometimes the moderates, their voices are sometimes not heard, and I think it is up to them to really stand up, to be more proactive and be more forceful in their message, and to really drown out the voices of extremists by fostering strong bonds. You did a big march in Amman against the violence, against the terrorism, and so this was the first time for an Arab country to give this kind of message, and don’t you think it would be nice to have this kind of message in other Arab countries? 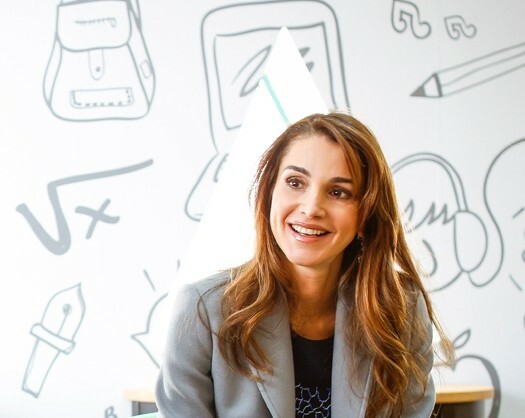 Queen Rania: Absolutely, I think in the Arab world, sometimes we’re very frustrated and disappointed with some of the stereotypes that are levelled at Muslims and Arabs, and sometimes we react with anger when people accuse of being violent or extreme. I think it’s our responsibility, first of all, to stand up and say who we are as Arabs and Muslims, and try to explain to the world what our values are, what we stand for, and to make the world realise that we are just likely to be victims as terrorist as non-Muslims. In fact, when you look at the acts of terrorism that have taken place over the past few years, you will find that the majority of victims have been Muslims. We have to realise that we are in this together. This is not a fight between Muslims and non-Muslims, this is a fight between extremists from all religions, and moderates from all religions. This is how we have to look at the battle lines, this is how we have to define ourselves. …The important thing is to reach people, to have the help and support of other people in this battle? Queen Rania: Absolutely, and I don’t think that this is such an overarching challenge for our century, and such a daunting task to really break through mindsets, that cannot be done by one person, cannot by two people, and I think it has to be a culture of being proactive and a culture of standing up and trying to explain the values of moderation. It has to be a movement, and I’m hoping that, you know, in the Muslim world, we can start to accept diversity first of all within Islam and more tolerance within Islam, and beyond that, try to reach out for the rest of the world with acceptance and with a moderate view. Your Majesty, it Italy, in France and in other countries there is a lot of discussion about the veil, here there is a lot of confusion… a lot of ignorance what does it mean veil, perhaps we do not understand what does it mean or you were not about to explain what does it mean because I think that someone is giving the veil a political symbol, weight and not what is the veil…where do you find the problem of misunderstanding is? 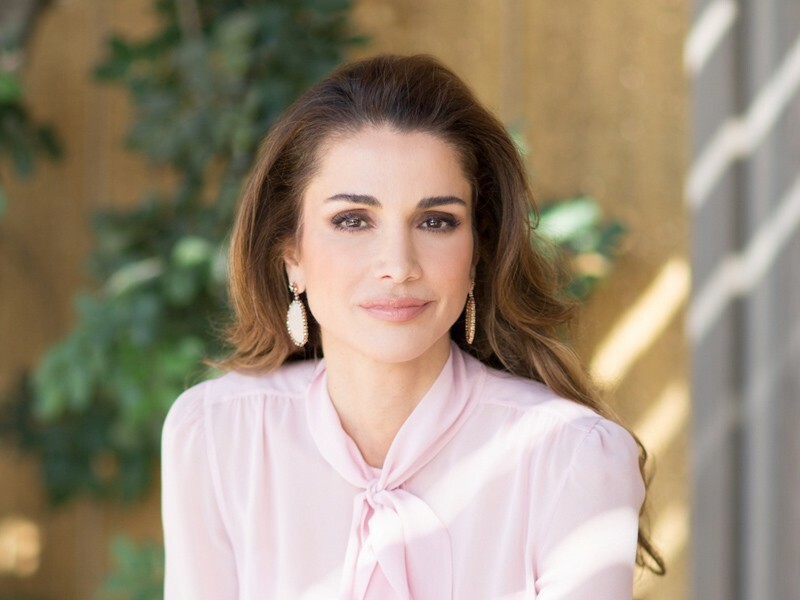 Queen Rania: Unfortunately because Islam is being brought under suspicion over the last few years, people have started to look at the veil as a political issue. What is important, is the veil is a symbol of piety, of modesty, of devotion to God and sometimes a woman wears the veil because that is what is socially acceptable within her surroundings but it should never be viewed as something that can be divisive between communities and certainly sometimes I feel that there is so much judgement levelled at women based on what they are wearing. I always say we shouldn’t judge women by what is on their heads but by what is in their heads. It is very dangerous when we start making assumptions about a person based on outward external façade. When I look at people when I visit the Arab world or abroad I try to pass judgement based on how they think, what they do, what their values are and not what they are wearing. It is very dangerous when you make judgements based on what they are wearing. Because a lot of the Muslim societies feel marginalized, and feel that they have not been integrated well in some of the European societies and elsewhere and because some of the authorities are looking at Islam with suspicion, unfortunately this issue has become highly politicized so it carries a lot of political symbolism and that is something we have to fight against because it shouldn’t. How a woman dresses should not have so much of a political dimension to it. It is a relationship between a woman and God and I think at the end of the day societies have to accept that in today’s world we will be different, outwardly and inwardly, but the idea is to try to create harmony nonetheless. But of course we cannot accept coercion in Islam? Queen Rania: There is no coercion in Islam. In Islam you are not supposed to force somebody to believe. As I said, Islam is all about conviction, it is all about belief and if you force someone to do something if they do not believe in it then that is against the whole essence of what Islam is all about. Islam is very much about intention and that is an essential part of Islam, intentions.